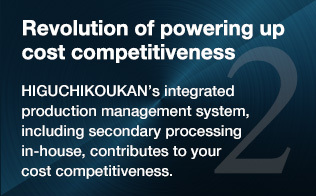 Sales and processing of steel pipes and steel materials｜HIGUCHIKOUKAN Inc. 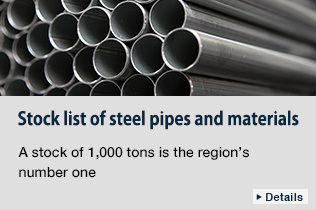 Dedicated to metal processing businesses having trouble in procuring steel and stainless steel pipes, slit pipes, and materials. 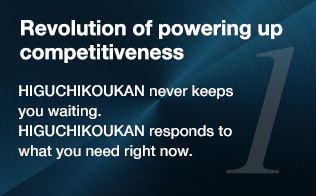 Thank you for your access to HIGUCHIKOUKAN’s English website. 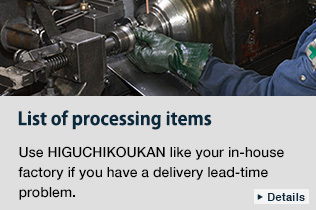 As you see, HIGUCHIKOUKAN is a steel pipe distributor expanding its sales in close contact with customers located in the center of Japan’s manufacturing industry, i.e., the Higashi-Osaka area. We have decided to open this English website, because we have a desire to sell steel pipes from sales offices located overseas, in fact. Our dream is business expansion in the future to Southeast Asia, in particular, which is making remarkable economic development. HIGUCHIKOUKAN has been accepting Vietnamese trainees since 2001. We fly to Ho Chi Minh City once a year to select Vietnamese trainees to be accepted. Each time we visit there, we feel the dynamism of Southeast Asia. HIGUCHIKOUKAN has a special technology of pressing slit pipes that serves as the pillars of displays (fixtures). We expect that commercial facilities will increase in proportion to the economic development of Southeast Asia and that there will be an expanding demand for fixtures to display commercial products in the future. 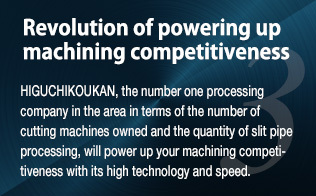 We are thinking that HIGUCHIKOUKAN’s processing technology can contribute to potential customers in Southeast Asia. We started a display market research in Vietnam as a clue to our expansion to Southeast Asia. We are still wondering if it is possible to expand our business to Vietnam. We will make further investigation, and try our best if our plan is feasible, and HIGUCHIKOUKAN would like to work together as a member of Asia. Hirokuni Higuchi, President and CEO, HIGUCHIKOUKAN Inc.
A steel distribution revolution of town factories　HIGUCHIKOUKAN Inc. Copyright (C) 2015 HIGUCHI CORPORATION. All rights reserved.